You are AMAZING!!!! I cannot believe the turnaround on these and then I spent some time last night looking through the shots and was FLOORED! You did such a gorgeous job of capturing the essence of the celebrations (dance party, confetti tossing, mummy's speech, hula, etc.) but ALSO captured unforgettable solo shots and couple shots of Arturo and myself!!!! There are so many phenomenal, artistic shots, I can't thank YOU enough! You were SO FUN and easy to work with, and that makes such a difference in my mind on a day when you want to simply have fun and be happy!!... I very much appreciated your humor and laid back style and Arturo specifically referenced it as well. Looking at the shots, I also SO APPRECIATE your willingness to get up on Sunday morning because there are so many beach shots that I ADORE!!! 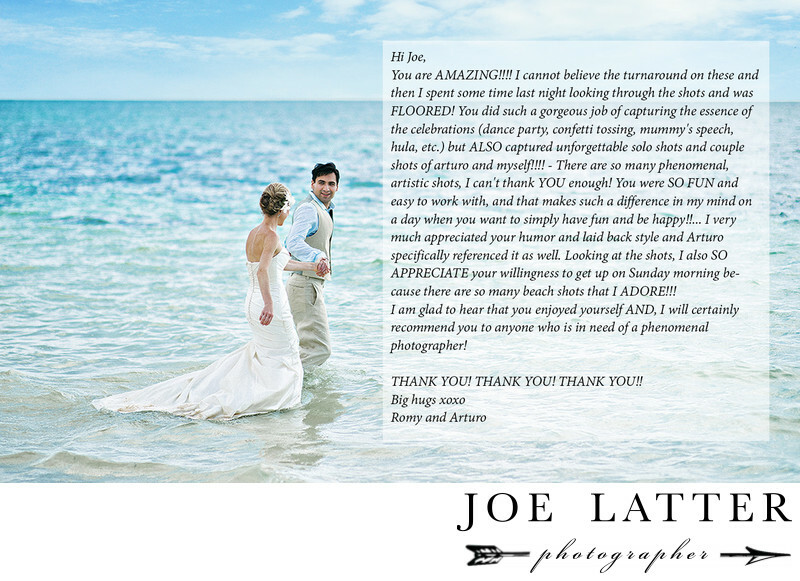 I am glad to hear that you enjoyed yourself AND, I will certainly recommend you to anyone who is in need of a phenomenal photographer! Location: 49-560 Kamehameha Hwy, Kaneohe, HI 96744.